The court was hearing the plea which has sought release and repatriation of foreign nationals languishing in different jails in India even after having served their full sentence. 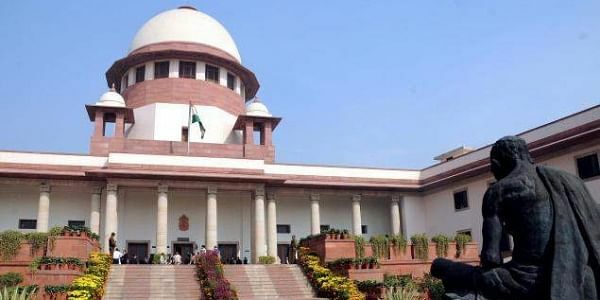 NEW DELHI: The Supreme Court has asked the Centre to "positively" file a report before it on the latest status of foreign nationals, including those from Pakistan, languishing in jails after having served their full sentence. A bench comprising Justices A K Sikri and Ashok Bhushan asked the government to file within four week its report in pursuance to the apex court's May 3 this year order. "Let Union of India file the report in compliance of order dated May 3, 2017 within a period of four weeks, positively. List the matter after four weeks," IT said. The Centre had earlier informed the apex court that it had filed a status report in the matter in April last year. Senior advocate Bhim Singh, the petitioner in the matter, had told the apex court that when he had filed the petition in 2005, there were 82 such persons who were detained in Jammu and Kashmir. The petition has also raised the issue of Pakistani prisoners arrested for illegally entering India through Jammu and Kashmir. Expressing serious concern over prolonged imprisonment of such prisoners, the apex court had earlier directed the Centre to release and repatriate 61 Pakistani nationals lodged in jails in India despite having undergone their punishment for various offences. It had also asked the government to bring in a suitable mechanism to ensure that such foreign nationals were not forced to remain in jails as courts were being frequently flooded with complaints about Pakistani nationals remaining incarcerated despite having served their sentence.